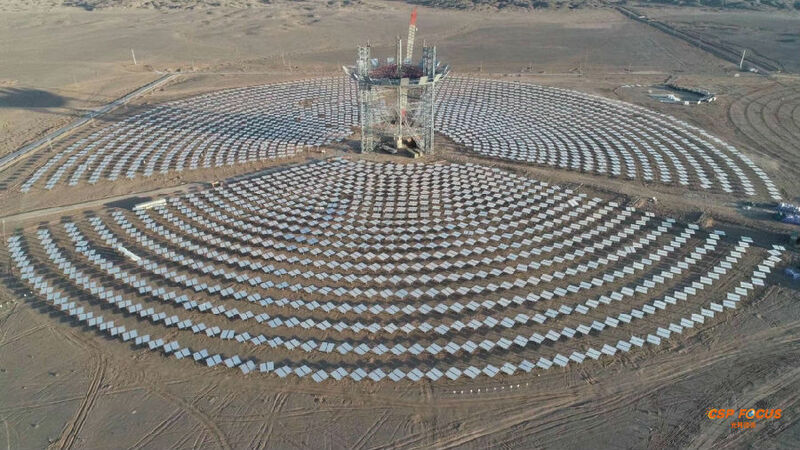 Yumen Xinneng 50MW molten salt tower CSP plant was officially selected as one of China 1st batch of CSP pilot projects in September 2016. It is the only pilot project taking innovative beam down CSP tower technology. Suzhou Thvom Technology Co., Ltd (shorted as Thvom) occupied 85% share of the project. And recently as Thvom announced, Shanghai Electric, China leading power energy state-owned company, acquired some stock equity of Thvom and became the biggest shareholder with 15% stock capital. 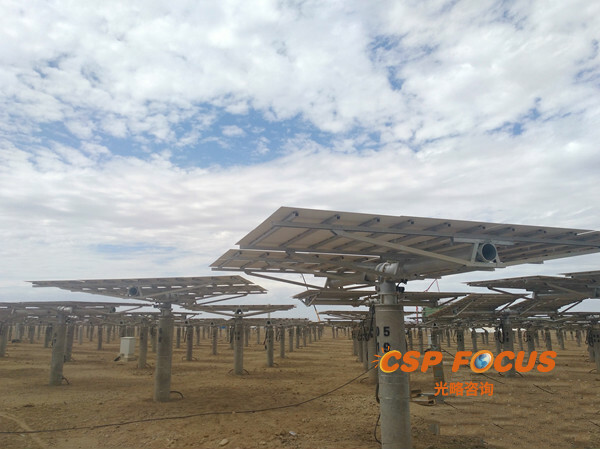 As CSP Focus reported earlier, Shanghai Electric was awarded the EPC contractor of the well-known Dubai 700MW CSP parabolic trough + tower project. This acquisition is actually a further step for Shanghai Electric to develop solar power business in China and abroad. 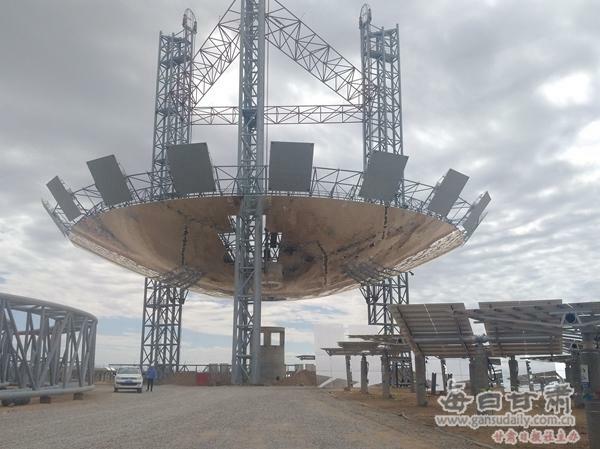 With total investment of RMB 1.78 billion, Yumen Xinneng 50MW molten salt tower CSP project takes beam-down CSP technology with 15 mirror field modules, each module consists of 17MWth solar filed and one beam-down tower, totaling 50MWe. Also one 9-hour molten salt thermal storage system & steam turbine set are included in the project. The project broke ground in July 2017, and news said that the No.1 Module had taken shape, the whole project is expected to be finished by December, 2018. And you are welcome to join the upcoming ‍CSP Focus Innovation 2018（Oct.25-26, China）‍ conference, where you may get more fresh news on the project and technological innovations on CSP system and key components. ‍Click to get brochure‍ of CSP Focus Innovation 2018（Oct.25-26, China） and register before Aug.23 to SAVE USD 200.